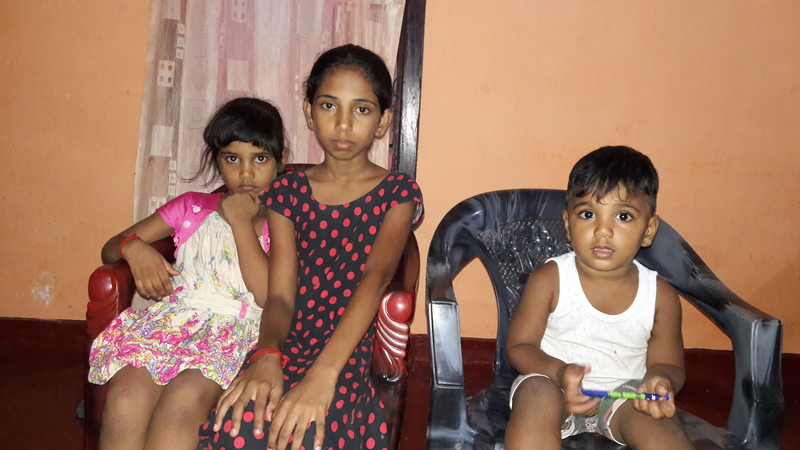 The children of Santhiyogu Anton, who was abducted, tortured by Sri Lankan security forces. Photo from Tamilnet. Santhiyogu Anton, a 38 year old Tamil man, was abducted and tortured by Sri Lankan military intelligence on June 29. After previous experiences of harassment by military intelligence, Anton had sought the assistance of the Catholic Church. He was allowed to stay at a church near the city of Mannar. In the early hours of June 29, four intelligence agents took him away at gunpoint. He was tortured for a day, with methods including burning with a hot metal rod, then dumped in farmland. He was eventually able to contact the church and his family, and was taken to hospital. Despite efforts by the police to keep Anton isolated, Charles Nirmalanathan, a Tamil National Alliance member of parliament, managed to gain access to him and take photos of his injuries. This case, which is far from isolated, illustrates the continuing oppression of Tamils by the Sri Lankan government. The armed forces continue to maintain numerous military bases in Tamil areas, and to seize land for settlers from the Sinhalese ethnic majority. Meanwhile, the Australian government has been pressuring Tamil asylum seekers to return to Sri Lanka.